​Many of us have been drawn to pretty stones since we were children, collecting them in jars or keeping mementos of places we have been. But, there may be a deeper reason for that. The science of crystal vibration is well documented. All things vibrate because atoms are constantly moving. However, the molecular structure of crystals causes them to vibrate in regular measurable intervals. This is why quartz is used in watches, computers and other technology that requires calibrated timing. Crystals, rocks and gems have been used for healing and decoration since ancient times. It is believed that crystals can also enhance or amplify our own energy and vibrations. There are many types of crystals and each one has different but regular vibrations. Have you ever noticed that some rocks just feel good in your hand? Various crystals are known to be helpful in physical and emotional healing on humans and animals. For example, rose quartz helps to elevate your mood and is good for the skin, while dark stones like onyx and hematite help with grounding, concentration and dispelling negative energy. Others can even help migraines, depression, or other ailments. Some people are more sensitive to crystal vibrations than others. A sensitive person can feel they are drawn strongly to certain stones and repelled by others. You may or may not directly feel the effects of crystals right away, but after a period of time you might notice a change. 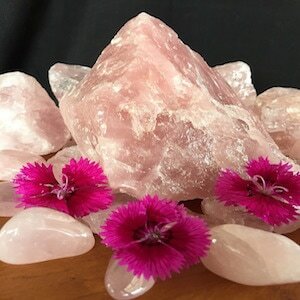 Many healers, such as Reiki and massage, use crystals as part of their therapy by laying certain stones on the chakra points to enhance treatment. The easiest way to select crystals is intuitively choose those stones you are drawn to or just like. You can select a few nice tumbled stones to keep in your pocket or wear them as jewelry, like a tiger eye necklace or lapis bracelet. If you want to learn more, there are many good books about crystal healing and the properties of each type. Crystals are not meant to replace modern medicine. Medical conditions should be treated by your health practitioner. However, crystals may be a good way to enhance your well being without side affects, and they are pretty. 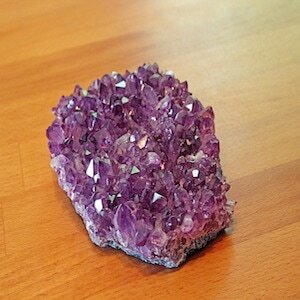 ​Amethyst - Balances the crown chakra, guards against psychic attack, transmutes negative energies in the environment to love. Increases spiritual awareness - best protection of all. Provokes honesty, encourages quiet and calm mind. Aids in dreaming, inspiration and intuition. Aids in removing addiction. 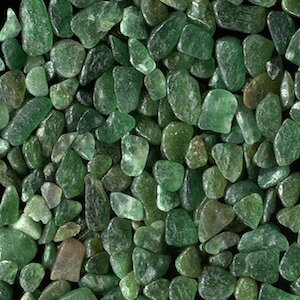 ​Aventurine - energies of luck, money and healing. Excellent balancing stone for heart chakra, encourages a calm and positive attitude and is a cleanser of negativity. Helpful in gambling or games of chance. 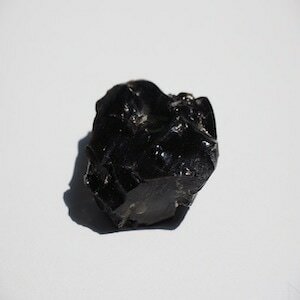 ​Black Obsidian - helps to protect the sensitive against depression. Stone of soft hearted and gentle people of the world. Blocks negativity of any kind. Good psychic protection stone. Polished, it can be used to help connect to your spirit guides. Symbolizes self control and resilience. Balances the root chakra. 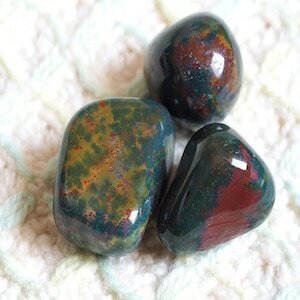 ​Bloodstone aka Heliotrope - dispels negative influences, balances energy, purifying, grounding stone encourages strength, determination and courage. Helps with blood, internal organs and digestive healing. ​Blue Lace Agate - calming, uplifting, blue color strengthens the function of the throat chakra and encourages peace. Help release painful or upsetting energy. Connect with angelic or higher self. 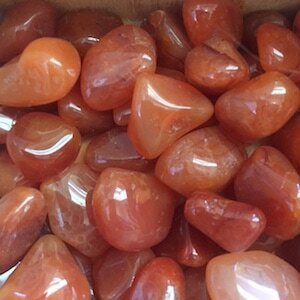 ​Carnelian - powerful protective stone that gives courage, promotes positive life choices, grounds and anchors you. Activates life force and stimulates metabolism. Healers use carnelian to overcome frigidity and impotence, increase fertility, relieve lower back problems and banish depression. Great for inspiration. Balances sacral chakra. 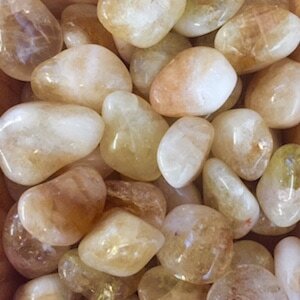 ​Citrine - Good for solar plexus chakra. Lucky merchant stone. Increases self esteem, protects from negativity energy, opens the mind to new thoughts, promotes clarity of thought. Releases blocks of energy related to barriers to your personal growth. 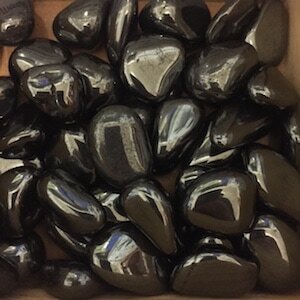 Hematite - Good stone for reflecting and grounding excess energy and acting as a stabilizing force. Helps increase mental organization. Promotes calming as well as logical thinking and math. Decreases negativity, balances the meridians, boosts self esteem and self confidence. 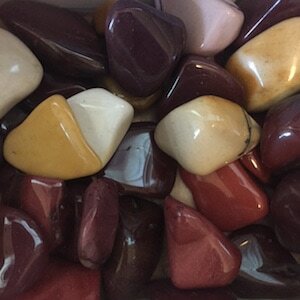 ​Mookaite - a jasper, stimulates the appetite for new knowledge and experiences. Bestows profound sense of tranquility while encouraging versatility. Helps with the acceptance of change. Powerful protection stone shifting from emotional harm. 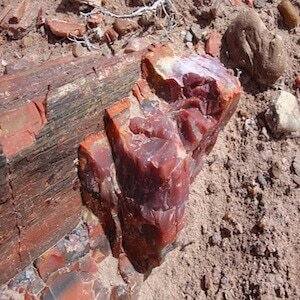 ​Petrified wood - clears path to goals that have challenging hurdles to overcome. Use it to reach destinations you desire. Restores physical energy. Excellent healing stone and is good in relieving hip and back problems. 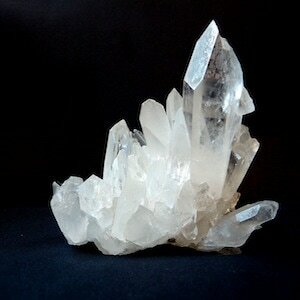 ​Quartz (Clear) - remarkable energy. Balances all chakras, clears the atmosphere of negative energies. Amplifies and cleans the energies of other stones. Good for use in mojo bags, chakra work and crystal grids. Excellent for use with crown chakra and higher self. ​Rose Quartz - Love will gather around it. Encourages self love, imparts empathy, sensitivity and strong romance energies. Can be an effective aid to restful sleep. Stimulates blood circulation in the tissues, fortifies heart and sexual organs; fertility. Excellent stone for relieving stress and anxiety. Balances the heart chakra. 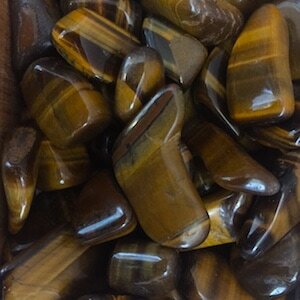 ​Tiger Eye - Supports Insight, good luck, protection, grounding, willpower, self confidence. Clear thinking and insight - focus the mind, be direct and enhance spirituality and meditation. Protection for travel and see through illusions. Excellent stone to carry on your person or wear for legal or civic activities. Balances the solar plexus chakra - increases personal power.